The operation was officially sanctioned in 1953, was reduced in scope in 1964, further curtailed in 1967, and recorded to be halted in 1973. The program engaged in many illegal activities, including the use of U.S. and Canadian citizens as its unwitting test subjects, which led to controversy regarding its legitimacy. (p74) MKUltra used numerous methods to manipulate people's mental states and alter brain functions, including the surreptitious administration of drugs (especially LSD) and other chemicals, hypnosis, sensory deprivation, isolation, verbal and sexual abuse, and other forms of torture. Project MKUltra was first brought to public attention in 1975 by the Church Committee of the United States Congress and Gerald Ford's United States President's Commission on CIA activities within the United States. Investigative efforts were hampered by the fact that CIA Director Richard Helms ordered all MKUltra files to be destroyed in 1973; the Church Committee and Rockefeller Commission investigations relied on the sworn testimony of direct participants and on the relatively small number of documents that survived Helms's destruction order. 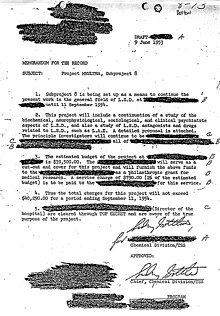 In 1977, a Freedom of Information Act request uncovered a cache of 20,000 documents relating to project MKUltra which led to Senate hearings later that year. Some surviving information regarding MKUltra was declassified in July 2001. In December 2018, declassified documents included a letter to an unidentified doctor discussing work on six dogs made to run, turn and stop via remote control and brain implants. The project was headed by Sidney Gottlieb but began on the order of CIA director Allen Welsh Dulles on April 13, 1953. Its aim was to develop mind-controlling drugs for use against the Soviet bloc in response to alleged Soviet, Chinese, and North Korean use of mind control techniques on U.S. prisoners of war during the Korean War. The CIA wanted to use similar methods on their own captives, and was interested in manipulating foreign leaders with such techniques, devising several schemes to drug Fidel Castro. It often conducted experiments without the subjects' knowledge or consent. In some cases, academic researchers were funded through grants from CIA front organizations but were unaware that the CIA was using their work for these purposes. The project attempted to produce a perfect truth drug for interrogating suspected Soviet spies during the Cold War, and to explore other possibilities of mind control. Subproject 54 was the Navy's top-secret "Perfect Concussion" program, which was supposed to use sub-aural frequency blasts to erase memory; the program was never carried out. Most MKUltra records were destroyed in 1973 by order of CIA director Richard Helms, so it has been difficult for investigators to gain a complete understanding of the more than 150 funded research subprojects sponsored by MKUltra and related CIA programs. The project began during a period of what Rupert Cornwell described as "paranoia" at the CIA, when the U.S. had lost its nuclear monopoly and fear of Communism was at its height. CIA counter-intelligence chief James Jesus Angleton believed that a mole had penetrated the organization at the highest levels. The agency poured millions of dollars into studies examining ways to influence and control the mind and to enhance its ability to extract information from resistant subjects during interrogation. Some historians assert that one goal of MKUltra and related CIA projects was to create a "Manchurian Candidate"-style subject. Alfred McCoy has claimed that the CIA attempted to focus media attention on these sorts of "ridiculous" programs so that the public would not look at the research's primary goal, which was effective methods of interrogation. The 1976 Church Committee report found that, in the MKDELTA program, "Drugs were used primarily as an aid to interrogations, but MKULTRA/MKDELTA materials were also used for harassment, discrediting, or disabling purposes." In 1964, MKSEARCH was the name given to the continuation of the MKULTRA program. The MKSEARCH program was divided into two projects dubbed MKOFTEN/CHICKWIT. Funding for MKSEARCH commenced in 1965, and ended in 1971. The project was a joint project between The U.S. Army Chemical Corps and the CIA's Office of Research and Development to find new offensive-use agents, with a focus on incapacitating agents. Its purpose was to develop, test, and evaluate capabilities in the covert use of biological, chemical, and radioactive material systems and techniques of producing predictable human behavioral and/or physiological changes in support of highly sensitive operational requirements. By March 1971 over 26,000 potential agents had been acquired for future screening. The CIA was interested in bird migration patterns for CBW research; subproject 139 designated "Bird Disease Studies" at Penn State. MKOFTEN was to deal with testing and toxicological transmissivity and behavioral effects of drugs in animals and, ultimately, humans. MKCHICKWIT was concerned with acquiring information on new drug developments in Europe and Asia, and with acquiring samples. At the invitation of Stanford psychology graduate student Vik Lovell, an acquaintance of Richard Alpert and Allen Ginsberg, Ken Kesey volunteered to take part in what turned out to be a CIA-financed study under the aegis of MKUltra, at the Menlo Park Veterans' Hospital where he worked as a night aide. The project studied the effects of psychoactive drugs, particularly LSD, psilocybin, mescaline, cocaine, AMT, and DMT on people. The Office of Security used LSD in interrogations, but Dr. Sidney Gottlieb, the chemist who directed MKUltra, had other ideas: he thought it could be used in covert operations. Since its effects were temporary, he believed one could give it to high-ranking officials and in this way affect the course of important meetings, speeches, etc. Since he realized there was a difference in testing the drug in a laboratory and using it in clandestine operations, he initiated a series of experiments where LSD was given to people in "normal" settings without warning. At first, everyone in Technical Services tried it; a typical experiment involved two people in a room where they observed each other for hours and took notes. As the experimentation progressed, a point arrived where outsiders were drugged with no explanation whatsoever and surprise acid trips became something of an occupational hazard among CIA operatives. Adverse reactions often occurred, such as an operative who received the drug in his morning coffee, became psychotic and ran across Washington, seeing a monster in every car passing him. The experiments continued even after Dr. Frank Olson, an Army chemist who had not taken LSD before, went into deep depression after a surprise trip and later fell from a thirteenth story window. MKUltra's researchers later dismissed LSD as too unpredictable in its results. They gave up on the notion that LSD was "the secret that was going to unlock the universe," but it still had a place in the cloak-and-dagger arsenal. However, by 1962 the CIA and the army developed a series of superhallucinogens such as the highly-touted BZ, which was thought to hold greater promise as a mind control weapon. This resulted in the withdrawal of support by many academics and private researchers, and LSD research became less of a priority altogether. Declassified MKUltra documents indicate they studied hypnosis in the early 1950s. Experimental goals included: the creation of "hypnotically induced anxieties", "hypnotically increasing ability to learn and recall complex written matter", studying hypnosis and polygraph examinations, "hypnotically increasing ability to observe and recall complex arrangements of physical objects", and studying "relationship of personality to susceptibility to hypnosis." They conducted experiments with drug-induced hypnosis and with anterograde and retrograde amnesia while under the influence of such drugs. They exported experiments to Canada when the CIA recruited British psychiatrist Donald Ewen Cameron, creator of the "psychic driving" concept, which the CIA found interesting. Cameron had been hoping to correct schizophrenia by erasing existing memories and reprogramming the psyche. 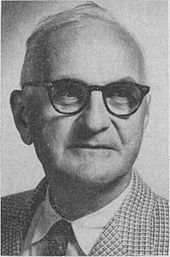 He commuted from Albany, New York, to Montreal every week to work at the Allan Memorial Institute of McGill University and was paid $69,000 from 1957 to 1964 (which would be $624,197 USD in today's currency, adjusting for inflation) to carry MKUltra experiments there, the Montreal experiments. These research funds were sent to Dr. Cameron by a CIA front organization, the Society for the Investigation of Human Ecology, and as shown in internal CIA documents, Cameron did not know the money came from the CIA. In addition to LSD, Cameron also experimented with various paralytic drugs as well as electroconvulsive therapy at thirty to forty times the normal power. His "driving" experiments consisted of putting subjects into drug-induced comas for weeks at a time (up to three months in one case) while playing tape loops of noise or simple repetitive statements. His experiments were often carried on patients who entered the institute for minor problems such as anxiety disorders and postpartum depression, many of whom suffered permanent effects from his actions. His treatments resulted in victims' incontinence, amnesia, forgetting how to talk, forgetting their parents, and thinking their interrogators were their parents. Naomi Klein argues in her book The Shock Doctrine Cameron's research and his contribution to the MKUltra project was not about mind control and brainwashing, but about designing "a scientifically based system for extracting information from 'resistant sources.' In other words, torture." Alfred W. McCoy writes "Stripped of its bizarre excesses, Dr. Cameron's experiments, building upon Donald O. Hebb's earlier breakthrough, laid the scientific foundation for the CIA's two-stage psychological torture method," which refers to first creating a state of disorientation in the subject, and then second creating a situation of "self-inflicted" discomfort in which the disoriented subject can alleviate their pain by capitulating. In December 1974, The New York Times alleged that the CIA had conducted illegal domestic activities, including experiments on U.S. citizens, during the 1960s. That report prompted investigations by the U.S. Congress, in the form of the Church Committee, and by a commission known as the Rockefeller Commission that looked into the illegal domestic activities of the CIA, the FBI, and intelligence-related agencies of the military. In the summer of 1975, congressional Church Committee reports and the presidential Rockefeller Commission report revealed to the public for the first time that the CIA and the Department of Defense had conducted experiments on both unwitting and cognizant human subjects as part of an extensive program to find out how to influence and control human behavior through the use of psychoactive drugs such as LSD and mescaline and other chemical, biological, and psychological means. They also revealed that at least one subject, Frank Olson had died after administration of LSD. 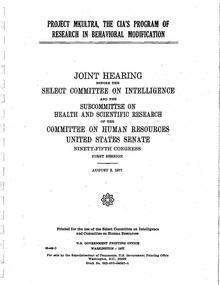 Much of what the Church Committee and the Rockefeller Commission learned about MKUltra was contained in a report, prepared by the Inspector General's office in 1963, that had survived the destruction of records ordered in 1973. However, it contained little detail. Sidney Gottlieb, who had retired from the CIA two years previously, was interviewed by the committee but claimed to have very little recollection of the activities of MKUltra. In 1977, during a hearing held by the Senate Select Committee on Intelligence, to look further into MKUltra, Admiral Stansfield Turner, then Director of Central Intelligence, revealed that the CIA had found a set of records, consisting of about 20,000 pages, that had survived the 1973 destruction orders because they had been incorrectly stored at a records center not usually used for such documents. These files dealt with the financing of MKUltra projects and contained few project details, but much more was learned from them than from the Inspector General's 1963 report. At least one death, the result of the defenestration of Dr. Frank Olson, was attributed to Olson's being subjected, unaware, to such experimentation, nine days before his death. The CIA itself subsequently acknowledged that these tests had little scientific rationale. The agents conducting the monitoring were not qualified scientific observers. Several known deaths have been associated with Project MKUltra, most notably that of Frank Olson. Olson, a United States Army biochemist and biological weapons researcher, was given LSD without his knowledge or consent in November, 1953, as part of a CIA experiment and committed suicide by jumping out of a window a week later. A CIA doctor assigned to monitor Olson claimed to have been asleep in another bed in a New York City hotel room when Olson exited the window and fell thirteen stories to his death. In 1953, Olson's death was described as a suicide that had occurred during a severe psychotic episode. The CIA's own internal investigation concluded that the head of MKUltra, CIA chemist Sidney Gottlieb, had conducted the LSD experiment with Olson's prior knowledge, although neither Olson nor the other men taking part in the experiment were informed as to the exact nature of the drug until some 20 minutes after its ingestion. The report further suggested that Gottlieb was nonetheless due a reprimand, as he had failed to take into account Olson's already-diagnosed suicidal tendencies, which might have been exacerbated by the LSD. The medical trials at Nuremberg in 1947 deeply impressed upon the world that experimentation with unknowing human subjects is morally and legally unacceptable. The United States Military Tribunal established the Nuremberg Code as a standard against which to judge German scientists who experimented with human subjects.... [I]n defiance of this principle, military intelligence officials ... began surreptitiously testing chemical and biological materials, including LSD. Sit back picture yourself swooping up a shell of purple with foam crests of crystal drops soft nigh they fall unto the sea of morning creep-very-softly mist ... and then sort of cascade tinkley-bell-like (must I take you by the hand, ever so slowly type) and then conglomerate suddenly into a peal of silver vibrant uncomprehendingly, blood singingly, joyously resounding bells ... By my faith if this be insanity, then for the love of God permit me to remain insane. Boston mobster James "Whitey" Bulger alleged he had been subjected to weekly injections of LSD and subsequent testing while in prison in Atlanta in 1957. Ted Kaczynski, a domestic terrorist known as the Unabomber, was a subject of a voluntary psychological study alleged by some sources to have been a part of MKUltra. 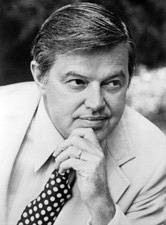 As a sophomore at Harvard, Kaczynski participated in a study described by author Alton Chase as a "purposely brutalizing psychological experiment", led by Harvard psychologist Henry Murray. [irrelevant citation] [irrelevant citation] In total, Kaczynski spent 200 hours as part of the study. At his retirement in 1972, Gottlieb dismissed his entire effort for the CIA's MKUltra program as useless. 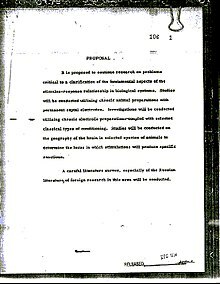 The CIA insists that MKUltra-type experiments have been abandoned, although Canadian investigative journalist Elizabeth Nickson (whose mother had been a subject) claims that they continue today under a different set of acronyms. Victor Marchetti, who had held several positions at the CIA before resigning in 1969, stated in 1992 that the CIA routinely conducted disinformation campaigns and that CIA mind control research continued. He called the claim that the program had been abandoned a cover story. 2008 film Pineapple Express depicts Project MKUltra in the intro scene, although it is portrayed as taking place in 1937. 2015 film Mr. Right depicts Hopper (portrayed by Tim Roth) mentioning the MKUltra program (at 27 minutes 15 seconds) as part of the foundation to the main character's motives and backstory. 2009 film The Killing Room invokes Project MKUltra as the foundation to the base plot. 2013 film The Banshee Chapter is largely based around MKUltra. 1990 film Jacob's Ladder alludes to Project MKUltra throughout the movie. 1997 film Conspiracy Theory Project MKUltra is referred to by Dr. Jonas (Patrick Stewart) who says he headed the project. Also, the protagonist, Jerry (Mel Gibson) is reported by Dr. Jonas to be a test subject of Project MKUltra. 2015 film American Ultra stars Jesse Eisenberg as a stoner slacker who discovers he is the sole survivor of the "Ultra" program, which turned him into the ultimate assassin. The Jason Bourne books and films starring Matt Damon, written by Robert Ludlum, are all based on MKUltra techniques. 2009 film The Men Who Stare At Goats is based on the MKUltra experiments. It is based on a 2004 book by Jon Ronson and its accompanying TV series. 2006 film Shadow Man starring Steven Seagal has a plot that revolves around a (fictional) cancer-causing biological weapon called "MK Ultra". 2014 film Captain America: The Winter Soldier stars Sebastian Stan as Bucky Barnes who is subjected to MKUltra-like mind control experiments by the Nazis AKA "Hydra" to turn him into the ultimate assassin, "The Winter Soldier". Chop Chop Chang: Operation C.H.I.M.P depicts a fictional mind control program inspired by MKUltra. In season 2, episode 19 of Bones, "Spaceman in a Crater", Jack Hodgins mentions that Frank Olson was an unwitting participant and committed suicide, but that an exhumation 45 years later proved he was murdered. In Season 5, Episode 10 of The West Wing, the White House press secretary is questioned by a reporter about mind control, leading her to investigate MKUltra and the budgetary allocations of DARPA for the project. The song "MK Ultra" by British band Muse makes direct reference to this project in the title and uses lyrics to convey the effects of the project directly on a subject. The song "The 4th Branch" by rapper Immortal Technique from his album Revolutionary Volume 2, compares modern media to MKUltra, "controlling your brain". The songs "US Government" and "MK Ultra" by Black Rebel Motorcycle Club make direct reference to the project, as well as more oblique references in the lyrics. The song, "MK Ultra" by progressive metal band Periphery makes direct reference to the project in the title and speaks of the supposed abuse children received from the CIA during the experiments. In the broadway musical We Will Rock You, MKUltra is referred to as the Bohemians are brainwashed and experimented on to become vegetables. Project MKUltra is mentioned multiple times in the Japanese anime Banana Fish and heavily revolves around modified psychedelic drugs in the plot of the anime. The card game Android: Netrunner has a set of card named after famous CIA conspiracies, one of which is MKUltra. ^ Valentine, Douglas (2016-12-31). The CIA as Organized Crime: How Illegal Operations Corrupt America and the World. Clarity Press. ISBN 978-0-9972870-1-1. As Vietnam was winding down, the CIA was beset by Congressional investigations that revealed some of the criminal activities it was involved in, like MKULTRA. ^ "Advisory on Human Radiation Experiments, July 5, 1994, National Security Archives, retrieved January 16, 2014". Archived from the original on July 13, 2013. ^ Otterman, Michael (2007). American Torture: From the Cold War to Abu Ghraib and Beyond. Melbourne University Publishing. p. 24. ISBN 0522853331. ^ McCoy, Alfred (2007). A Question of Torture: CIA Interrogation, from the Cold War to the War on Terror. Macmillan. p. 29. ISBN 1429900687. ^ Church Committee; "The congressional committee investigating the CIA research, chaired by Senator Frank Church, concluded that '[p]rior consent was obviously not obtained from any of the subjects.'" ^ a b McCoy, Alfred (2006). A Question of Torture: CIA Interrogation from the Cold War to the War on Terror. New York: Metropolitan Books. pp. 8, 22, 30. ISBN 0-8050-8041-4. ^ Klein, Naomi (2007). The Shock Doctrine: The Rise of Disaster Capitalism. New York: Picador. pp. 47–49. ISBN 0-312-42799-9. ^ Ranelagh, John (March 1988). The Agency: The Rise and Decline of the CIA. Sceptre. pp. 208–10. ISBN 0-340-41230-5. ^ Scheflin, Jr, Alan W.; Opton, Edward M. (1978). The mind manipulators : a non-fiction account. New York: Paddington Press. p. 158. ISBN 9780448229775. ^ Thomas, Gordon (1989). Journey into madness : the true story of secret CIA mind control and medical abuse. New York: Bantam Books. p. 123. ISBN 9780553053579. ^ Martin A. Lee; Bruce Shlain (1 December 2007). Acid Dreams: The Complete Social History of LSD: The CIA, the Sixties, and Beyond. Grove/Atlantic. pp. 373–. ISBN 978-0-8021-9606-4. ^ Marks, John (1979). The Search for the Manchurian Candidate. New York: Times Books. pp. 106–07. ISBN 0-8129-0773-6. ^ a b Baker, Jeff (2001-11-11). "All times a great artist, Ken Kesey is dead at age 66". The Oregonian. pp. A1. ^ Marks, John (1979). The Search for the Manchurian Candidate. New York: Times Books. pp. 40–42. ISBN 0-8129-0773-6. ^ Marks, John (1979). The Search for the Manchurian Candidate. New York: Times Books. chapters 3 and 7. ISBN 0-8129-0773-6. ^ Marks, John (1979). The Search for the Manchurian Candidate. New York: Times Books. pp. 141–42. ISBN 0-8129-0773-6. ^ Marks, John (1979). The Search for the Manchurian Candidate. New York: Times Books. pp. 140–50. ISBN 0-8129-0773-6. ^ Collins, Anne (1998) . In the Sleep Room: The Story of CIA Brainwashing Experiments in Canada. Toronto: Key Porter Books. pp. 39, 42–43, 133. ISBN 1-55013-932-0. ^ Marks, John (1979). The Search for the Manchurian Candidate. New York: Times Books. p. 141. ISBN 0-8129-0773-6. ^ Klein, N (2007). The Shock Doctrine. Metropolitan Books. pp. 39–41. ISBN 0-676-97801-0. ^ McCoy, Alfred (2006). "Cruel Science: CIA Torture and U.S. Foreign Policy". Sticks and Stones: Living with Uncertain Wars, by Padraig O'Malley et al, eds. : 172–74. ISBN 1558495355. ^ a b Elizabeth Nickson (October 16, 1994). "Mind Control: My Mother, the CIA and LSD". The Observer. ^ a b H. P. Albarelli (2009). A Terrible Mistake: The Murder of Frank Olson and the CIA's Secret Cold War Experiments. Trine Day. pp. 350–58, 490, 581–83, 686–92. ISBN 0-9777953-7-3. ^ Ronson, Jon (2004). The Men Who Stare at Goats. New York: Picador. ISBN 0-330-37548-2. ^ Finger, Stanley (2001). Origins of Neuroscience: A History of Explorations Into Brain Function. Oxford University Press. pp. 221–. ISBN 978-0-19-514694-3. Retrieved 24 February 2013. ^ Jeffrey C. Pommerville; I. Edward Alcamo (15 January 2012). Alcamo's Fundamentals of Microbiology: Body Systems Edition. Jones & Bartlett Publishers. pp. 734–. ISBN 978-1-4496-0594-0. Retrieved 24 February 2013. ^ McNally, DA (2002). A Long Strange Trip: The Inside History of the Grateful Dead. Broadway Books. pp. 42–3. ISBN 0-7679-1186-5. ^ Weeks, Kevin (2007). Brutal: The Untold Story Of My Life Inside Whitey Bulger's Irish Mob. Harper Collins. pp. 83–84. ISBN 0-06-114806-7. ^ Cannon, M (1992). "Mind Control and the American Government". Lobster. 23. ^ Knight, P (2003). Conspiracy theories in American history: an encyclopedia, Volume 2. ABC-CLIO. pp. 490. ISBN 1-57607-812-4. ^ "Bones / 2x20transcript". bonestv.pbworks.com. Potash, John L. (2015). Drugs as Weapons Against Us. Trine Day LLC. ISBN 978-1937584924. Acid: The Secret History of LSD, by David Black, London: Vision, 1998, ISBN 1901250113. Later edition exists.